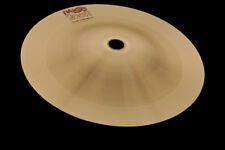 The Paiste 10" Dark Splash exudes a subtle whooshing effect sound with a round, even decay. Structured Wiring. - Installation Harness. Bell Character: integrated. Sound Character: Bright, full, high pitched, energetic. Wide range, complex mix. Strong feel, explosive, strong splash with quick response. 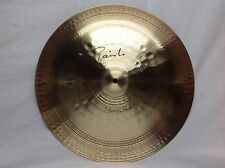 Here is a Paiste 16" 2002 Crash Cymbal. Its wide range and clean mix give it a very even, and responsive feel. This very versatile all-purpose crash can be used for any musical application and sounds great with any genre of music. Their silky surface distinguishes the cymbals visually. The aluminum Pure Bells stand out due to their distinct character and concept. Sound Character: Aggressive, bright, energetic, trashy. Responsive feel, explosive attack. 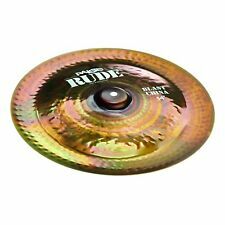 Paiste Alpha 18" Rock China Cymbal/Brand New & RARE! Your buying aPaiste Alpha 18" Rock China Cymbal.The Paiste 18″ Alpha Brilliant Series China Cymbal is bright, cutting, full with a warm undertone. Explosive, shattering attack with a hissing decay. A strong china cymbal useful in many musical applications. Fuse Holders. - UTV Side by Side Speakers. - 12 Volt Power Supplies. Subwoofer Exception : Our warranty does not cover blown voice coils, or subwoofers that have been punctured. This is considered abuse by the manufacturer and is not covered under warranty. We have a very knowledgeable, NON COMMISSIONED sales staff. Sound: Bright, clean, full, focused, cutting and energetic with full functional and musical characteristics. set includes. 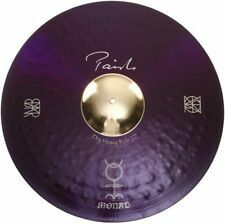 Here is a Paiste Color Sound 900 18" Red Crash Cymbal. 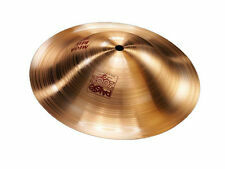 Along with its wide range and clean mix, this cymbal has a balanced, responsive feel. Due to its full, round crash sound with a big punch, this crash is great for universal applications. The Color Sound blue 900 10" Splash is a lightweight cymbal that offers the same medium-low to loud volume and well-defined accents as its non-colored equivalent, but with a slightly drier sound and a short sustain that decays quickly. 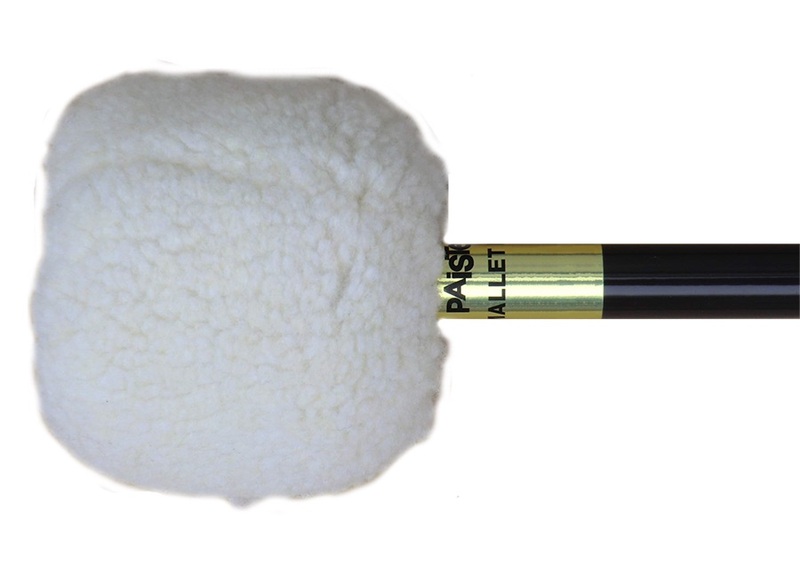 Included 4 free cymbal Felts fast shipping! Paiste 2002 Black Label Big Beat 5 Piece Cymbal Set w/ FREE 18" Big Beat Crash & Paiste Cymbal Bag - 15,18,20,24. Warm, deep, brilliant, lush, full, wide • Big Beat cymbals are rooted in the world of “2002 Bronze”, with its celebrated brilliance, clarity, precision and strength. Their silky surface distinguishes the cymbals visually. The aluminum Pure Bells stand out due to their distinct character and concept. Sound Character: Warm, airy, breathy. Very explosive response with quick decay. 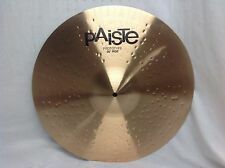 Paiste 900 Series Ride Cymbal - 22"
900 Series Ride Cymbal 22 in. Their silky surface distinguishes the cymbals visually. The aluminum Pure Bells stand out due to their distinct character and concept. 14" Swiss Flanger Crash. Bell Character: integrated. Sound Character: Exotic, warm, fluttering slightly tinny. Paiste Giant Beat 5 Piece Cymbal Set w/ FREE 18" Giant Beat Crash & Paiste Cymbal Bag - 15,18,20,24. 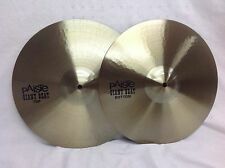 Paiste Giant Beat 15" Hi Hat Cymbals/New With Warranty/Free Stick Bag!